Roger Kimball and four women (?) wearing full burkas step into an airport security line. Guess who gets pulled. Roger links to Islamist Terrorism: The British Connections. MOTUS looks at the Obamacare Progressive Unification Church (OPUC), which would make McDonald’s mini-med plan unaffordable. What could go wrong? Obama to Fix America’s Overstaffed, Underachieving Schools by Hiring 10,000 More Teachers. On Facebook! Ecuador President Rafael Correa said he is the target of a coup attempt after police and soldiers protesting wage cuts assaulted him during a demonstration in Quito. “We’re faced with a permanent conspiracy,” Correa, holed up in a hospital surrounded by demonstrators, said in a telephone interview with Radio Publica after protesters hurled water at him and burnt tires outside the presidential palace. Spain is broke. So they go on strike. An inflexible job market and a popped property bubble have left Spain with little choice but to make painful cutbacks. As part of an ongoing in-depth series on the European financial crisis, WSJ’s Andy Jordan and Joe Parkinson report from the Iberian peninsula. Did the phrase “fresh legs” come up because of former ballet dancer Rahm Emanuel’s upcoming departure? Is it to avert voters’ voting with their feet? Or is Obama starting a new stimulus by bringing in great legs to help him tap dance on the issues? The city will change the lettering on every single street sign – at an estimated cost of about $27.5 million – because the feds don’t like the font. Street names will change from all capital letters to a combination of upper and lower case on roads across the country thanks to the pricey federal regulation, officials said Wednesday. The city has about 250,000 signs, and it costs about $110 to replace one, the DOT says. Officials said the new signs will have improved reflectivity and clarity for nighttime drivers. Which makes it easier for the cab driver who is not literate in English to take you to the wrong spot all the same. As a result, even numbered street signs will have to be replaced. Is There No Detail Too Small For The Feds To Regulate? Of course not. The purpose of a government bureaucracy is to perpetuate itself through petty regulation. Hey Bloomberg – make some money – eBay old ones! But what this really shows is the outrageous overstepping of power that the federal government wallows in these days. Regulations such as this passed down from the federal government, violating local control of our lives is the perfect example of how our federal government has gone so far off track. Today at 11AM Eastern, Venezuelan blogger Miguel Octavio talks about Killer Facts About Venezuela’s Parliamentary Elections, and what election day was really like. You can listen to the live podcast, or at your convenience, here. • Scenario 1: Chávez uses the outgoing National Assembly, which he fully controls until the newly elected legislators take their seats on Jan. 5, to pass an “enabling law” that grants him extraordinary temporary powers. He and previous Venezuelan presidents have done this. • Scneario 3: Chávez asks the Supreme Court, which he controls, to issue a ruling scrapping the two-thirds vote requirement and to allow him to pass key laws by a simple majority vote. • Scenario 4: Chávez gives legislative powers to pro-government community councils, in effect stripping away the powers from the National Assembly. He has done something similar before: When opposition Caracas Mayor Antonio Ledezma won in the 2008 elections, Chávez created an office of super-mayor of Caracas, appointed a loyalist to head it and shifted most of the opposition-held mayoral office’s duties and budget to the new office. Venezuela’s opposition made big gains in legislative elections on Sunday. But while it appears to be a victory for democracy, Hugo Chavez always finds a way to ensure it won’t be meaningful for anyone but himself. 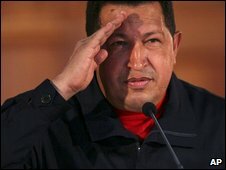 President Hugo Chavez wants his new communal governance and communal economic institutions in place legally before the new National Assembly is installed on 5 January 2011. Once the communal laws still awaiting approval are enacted by the current assembly, there isn’t much that the new assembly can do about it. Chavez may not have his 2/3 + 1 “qualified majority” that allows him to do anything he wishes. But the opposition doesn’t have sufficient votes in the new assembly that sessions as of 5 January 2011 to roll back any laws approved by the current assembly during the coming 100 days. …if 100% of the regime’s new federal/communal structure is firmly in place legally before end-2010, Chavez may decide to ignore the new assembly, or perhaps fiscally strangle the opposition’s districts, or order his AG and his Sebin (formerly Disip) political cops to persecute select opposition figures. Stoned to death… in Mexico? A small-town mayor and an aide were found stoned to death Monday in a drug-plagued western state, the fifth city leader to be slain in Mexico since mid-August. Vlad Tepes first brought this story to my attention; the method of killing brings to mind Iranian stonings. In any case, the fact remains that border security is national security – a point that I have made time and time again in my podcasts and posts at this blog and elsewhere. The situation in Mexico is a disaster, and one that directly threatens our national security. For reasons that I don’t understand, most Americans don’t seem to care, and the Obama administration reflects that apathy. Mexico makes Iraq look like Switzerland. Iraq is, I think, important to our security, but Mexico is much more so. I don’t know what the solution is–other than the obvious, a massive application of police/military force to kill the criminals–but at a minimum, we should take notice. Please note there will be no podcast today due to a rescheduled appointment. Thank you for your support. Take from the rich, give to the poor and borrow from the middle class? The Democrats’ tax punt may mean that a family of four with an income of $45,000 will pay $2,083 more in taxes. The Tax Foundation has run the numbers and the tax hikes coming down the road are eye-popping. Take a school teacher married to a bus driver, with a combined income $120,000 and two kids. Only Nancy Pelosi would consider them “rich,” but their income taxes will go up $4,499 next year, even before any potential AMT penalty, which could add several thousand dollars to their tax bill. 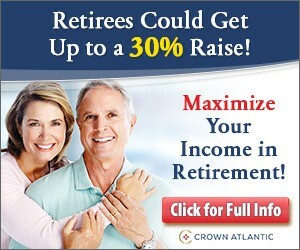 A family of four with an income of $45,000 would pay $2,083 more in taxes. Ouch. And that hard-working single mom, who Mr. Obama talks all the time? If she makes $40,000 a year, she will pay the IRS $1,607 a year more. The recession? Don’t worry about the recession: the recession will deepen. Now: Eliot Spitzer is a host on a CNN show.